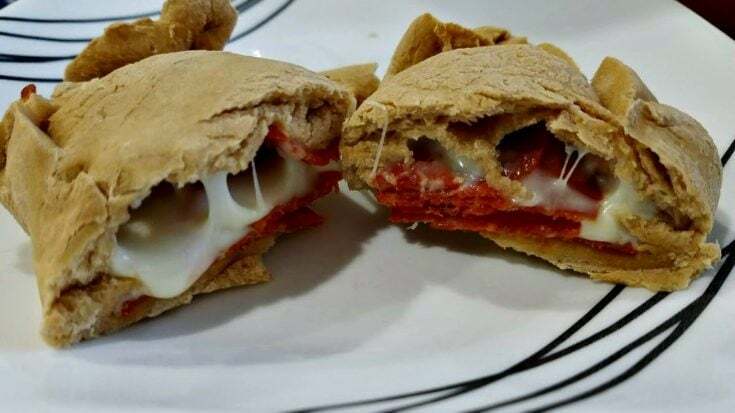 In an attempt to make this week a little easier, I made two different kinds of pocket sandwiches- the Ham and Cheese Pockets, and these Pepperoni Pizza Pockets. 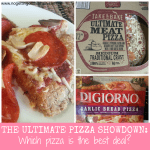 Both of them use the same Bread Machine Pizza Dough recipe so I didn’t need to buy extra ingredients besides the toppings, and they’re both incredibly simple to make. The only problem is that my bread machine won’t handle a double batch of the dough, so I did it in two separate days. But you could probably use a stand mixer to fit it all. So these Pepperoni Pizza Pockets are made the exact same way as the Ham and Cheese Pockets. After the dough’s finished, cut it into 6 equal pieces and let them sit under a towel for about an hour. Once they’ve risen, roll each piece into a flat circle and add pepperoni and mozzarella cheese on one half. You could add other favorite toppings as well, but be sure not to fill it too full. I always put my pizza sauce on the side for dipping, but you could put a little bit inside the pocket, too. Carefully fold the top over and pinch the edges to seal, then place on a greased cookie sheet. Ten minutes in the oven and they’re ready to eat! I wish I could say Allison liked these. I only put cheese in hers and told her it was basically a pizza sandwich. Nope. She likes grilled cheese but won’t eat this. What is it about 5 year-olds? 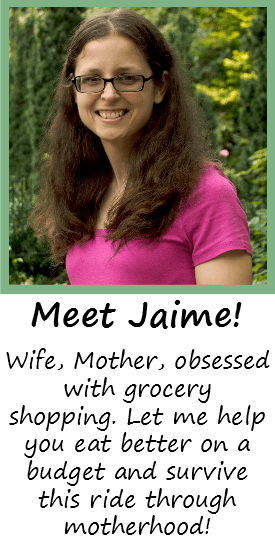 They’re delicious, though, and freezer-friendly just like the Ham and Cheese Pockets. I love making them! 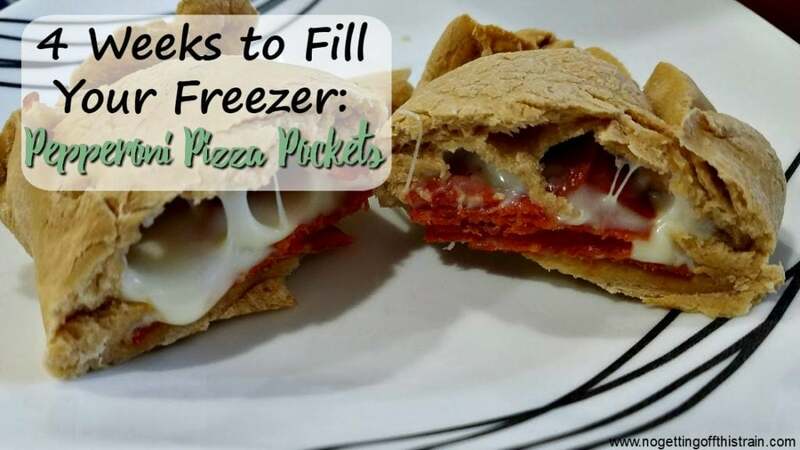 Enjoy your pizza in sandwich form with these freezer-friendly Pepperoni Pizza Pockets! Fill with your favorite toppings for a delicious lunch or dinner! (If making the dough) In a bread machine, add all dough ingredients in the order recommended by the manufacturer. Use the Pizza Dough setting, about 50 minutes. 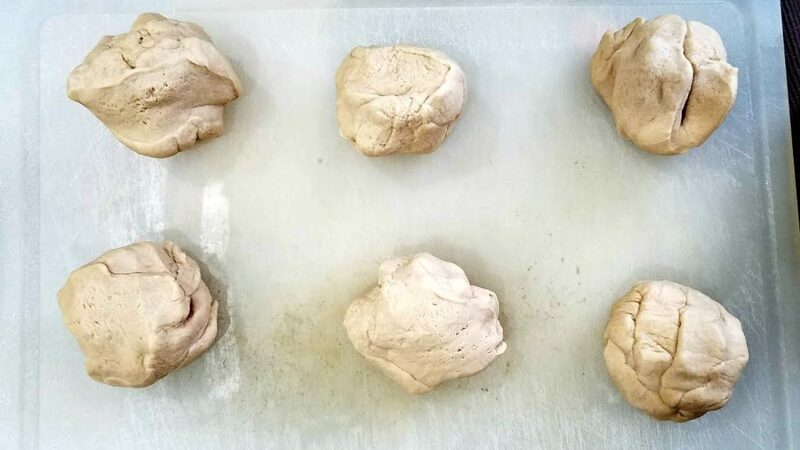 When the dough is finished, separate into 6 equal pieces and let them rise under a towel for an hour. 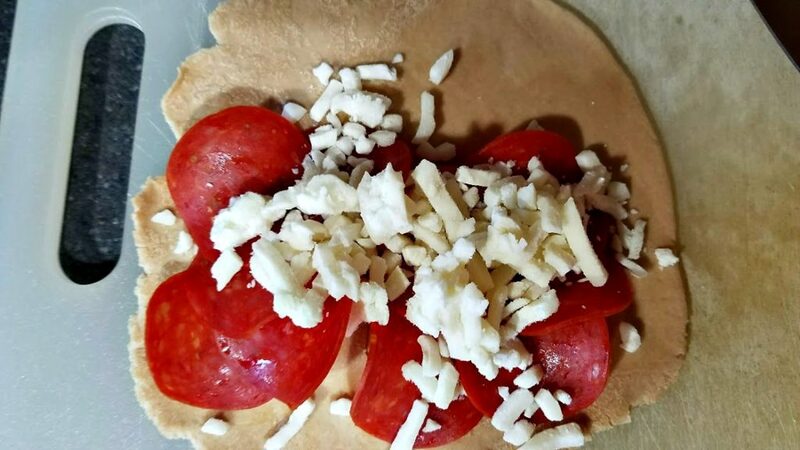 Roll out each ball into a flat circle and add about 10 pepperonis and 1/4 cup cheese to one half, along with optional toppings. Carefully fold the top over and pinch the edges to seal. Place on a greased cookie sheet. Bake for 10-12 minutes until the dough is firm. Serve with pizza sauce on the side for dipping. 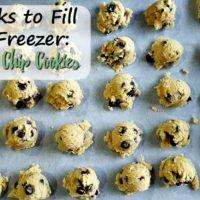 To freeze, place the pockets on a cookie sheet in the freezer. Once completely frozen, transfer to a gallon-sized freezer bag. 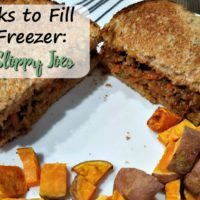 To reheat, let the pockets thaw completely and cook in either the microwave or a toaster oven. 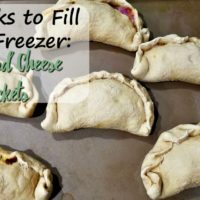 I’ve made the ham and cheese pockets and the pepperoni pizza pockets this week and they’re awesome! I used 2 cans of pizza dough for each recipe and it turned out really well. Also I put a spoonful of sauce in the pizza ones and it was delish! I just had to make sure not to get the sauce on the edges or else it wouldn’t seal properly. Thanks for letting me know about the cans of pizza dough! I’m glad they turned out so well. =) We’ve already dug into ours too, haha.